Naked and Unashamed is designed to highlight an area of our lives that we neglect. It is time to uncover the truth so you can finally reach your financial goals. The future of your marriage depends on it. Get tools on communicating effectively about money with questions to get you started. Learn how your money past is affecting you today and not allow it to define you anymore. Face your current state of financial affairs so you can wake up and do something about it. Create a financial road map leading you to the future you desire and deserve. A financially fulfilling partnership is possible if you get rid of the money baggage holding you back. It's time to get Naked and Unashamed with your money and your honey. Ericka Young is the president and founder of Tailor-Made Budgets. After college, Ericka took an expected path in her degreed field of engineering. During this time, Ericka and her husband Chris carried loads of debt that included student loans, car payments, and a mortgage. They were doing the things that all young couples do but along with that came added stress. It was during this time that Ericka and her husband discovered Dave Ramsey’s program. Within 5 years, following the program, Ericka and Chris dug their way out of nearly $100,000 in debt. As a result of their success, after 7 years of working as an engineer, Ericka realized that her true passion was not in the technical field of engineering but in helping others gain control over their money through financial coaching. Her love for numbers and data crunching translated easily into analyzing financial information. She became a certified financial coach by Dave Ramsey’s Lampo Group and is now a recognized expert in financial coaching helping people significantly improve their finances, family and their future. Recognized expert and regular consultant for the Arizona Republic, Chandler Chamber of Commerce, Chandler-Gilbert Community College, and other entities. Featured “Budget Coach” for FOX10 News in August 2007 with Kari Lake and John Hook. Ericka Young is the president and founder of Tailor-Made Budgets which she opened in 2005 after she and her husband Chris were able to dig their way out of nearly $100,000 in debt. 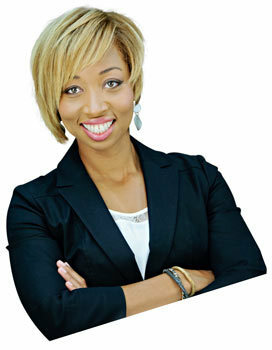 Combining her passion for helping people and the techniques for debt reduction and budgeting strategies learned from Dave Ramsey’s programs, she became a certified financial coach by Dave Ramsey’s Lampo Group and is now a recognized expert in financial coaching helping people significantly improve their finances, family and their future. Ericka has authored several e-books including “Budget: It’s not a dirty word”, “Money: The Root of All Success”, and “Tailor-Made Teens: A Young Adult’s Guide to Successful Financial Strategies” and her book, “Naked and Unashamed” will be available worldwide online and at book retail outlets early in 2017. 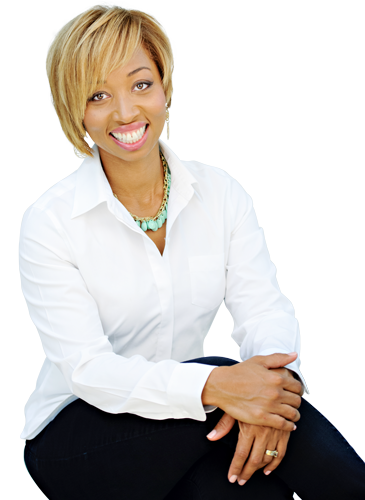 Ericka currently teaches her message of debt freedom through her e-newsletters, personal coaching, workshops and speaking engagements. Download these materials for your promotional use. Ericka Young is a recognized expert in financial coaching and helps families significantly improve their finances and their future. 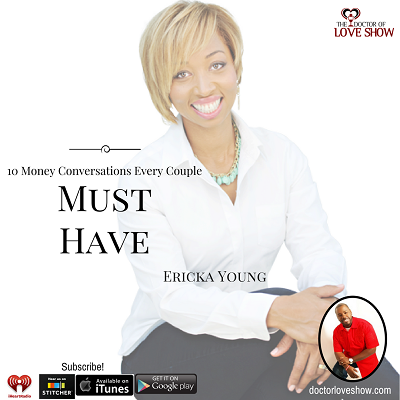 She is the founder and president of Tailor-Made Budgets and the author of Naked and Unashamed: 10 Money Conversations Every Couple Must Have. She has been working with families for more than 10 years and through her personal coaching, group programs and presentations has helped her clients pay off more than $2.5M in debt. Q1: What inspired you to write this book? Q2: Tell us about your financial journey. Q3: What makes you so passionate about helping people become debt free? Q4: What advice do you have for couples just sitting down with your book for the first time? Q5: What do you hope couples achieve after reading your book?